CRP was set up by key personnel from Castle Vale Housing Action Trust in 2003 and became fully operational after the conclusion of a twelve-year regeneration which became recognised as a national and international model of successful urban renewal. Castle Vale Housing Action Trust (CVHAT) was formed to tackle the physical, economic, social and environmental problems on Birmingham’s largest post-war housing estate. Today, CVHAT is widely recognised as having been one of the most successful regeneration initiatives ever seen in the UK. The government acknowledged that the HAT programme was the first publicly funded initiative to apply holistic principles to the regeneration of entire estates in partnership with the local authority, residents and the private sector. CRP maintains its links to the community-led regeneration programme at Castle Vale and continues to promote its work as Castle Vale Housing Action Trust nationally and internationally, most recently at Taiwan in November 2008. One of the key learning points from the Castle Vale project is the need to learn lessons from regeneration programmes and share experiences of what works and what doesn’t. To that end a series of independently produced documents were commissioned at the end of the life of the HAT. These are identified below and are free to download. In this lively programme Tony Robinson meets the residents of Castle Vale to find out for himself how Birmingham’s largest post-war estate has managed to turn its fortunes around through one of the country’s most ambitious regeneration initiatives. 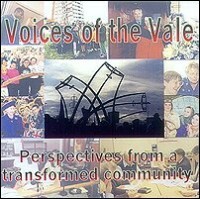 Voices of the Vale – 30 minute audio CD, made by IQK Creative Solutions for Castle Vale HAT in 2004, in which residents give their account of life in Castle Vale through the decades. Chapter 10 – Transferable Lessons – see the full book. Castle Vale also benefited from considerable media and governmental attention thanks to CVHAT’s expertise in marketing and rebranding. Below are a few examples. Six HATs were set up under the provisions of the Housing Act 1988 as non-departmental public bodies to regenerate some of the most deprived local authority estates in England. Castle Vale, the largest post-war estate in Birmingham, is home to about 9,000 people. The HAT’s 12-year, £270 million programme has resulted in the construction or improvement of over 3,400 homes, the redevelopment of Castle Vale’s shopping centre, health, social and environmental schemes. Legal work handled by Wilkes over the years includes the majority of all land and property acquisitions and disposals, as well as advising on the creation of appropriate company and legal structures to assist the HAT in achieving its corporate aims. One major project was the development of the retail park and new Sainsbury’s supermarket. Wilkes oversaw the making of a compulsory purchase order and worked towards achieving whole site assembly before overcoming a challenge at the Lands Tribunal. From start finish the whole process took three and a half years. Castle Vale was one of Birmingham’s largest post war high rise estates, built to take the families displaced from the clearance of the inner city. In the late 1980s it suffered from high crime rates and unemployment, poor health, education, housing and environment and a lack of local facilities. A 12 year regeneration programme, through a Housing Action Trust, turned around the fortunes of the estate. In the two years since the end of the programme, the estate continues to go from strength to strength with residents in the driving seat. A Neighbourhood Management Board brings together the statutory agencies to co-ordinate activities on the estate with the priorities set by the elected resident members. Residents are trained and supported to develop negotiation skills, decision making and confidence building to be able to effectively govern their neighbourhood organisations. Strengths: skills base & experience throughout the UK; superb track record in regeneration; CV community; tried and tested CVHAT team emerged as CRP. This case study briefly show-cases one of the country’s most successful regeneration projects. Although originally conceived as a housing initiative, it became a model for social, environmental and economic renewal. Have a clear vision and strong leadership. Show long term commitment and early succession planning. 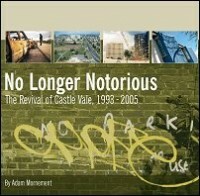 Through the eighties and into the nineties the Castle Vale Estate was an infamous area of high unemployment, poor health, low educational attainment, and high crime with a very poor image which had been picked up by the national and local media. The Housing Action Trust (HAT) was initially a Conservative political initiative to change the area, it has since become a model for urban redevelopment in a New Labour era. The CVHAT was inclusive. The team made sure there was resident involvement and empowerment, with residents sitting on all HAT committees and working groups. There were monthly consultative meetings between HAT directors, tenants and the Residents Alliance. The 1999 Parliamentary Select Committee on Quangos reported that in its opinion the CVHAT “took it efforts to consult with people affected by its work to unusual lengths.” The CVHAT have also developed very constructive partnerships with a succession of local service providers including the Police, schools the local Primary Care Trust, the Learning and Skills Council and many more – they have been a positive example of mainstreaming. Early succession planning as well as leaving residents empowered to manage their area was key to the CVHAT approach. Residents were offered the choice of being part of a Housing Association or returning to Council control at the end of CVHAT project. 94% of residents chose to remain under the Housing Association. The CVHAT also set up Neighbourhood Partnership Boards. These developed on the successful partnerships with local service providers and provide an open means for residents and service providers to meet and share knowledge and perspectives on the estate. A separate Castle Vale Endowment Trust Fund has been set up to fund future area developments. Through the life of this ten year initiative, the Castle Vale estate has been transformed and in the future residents will be living in an excellent, flourishing neighbourhood. CVHAT was formed to tackle the physical, economic, social and environmental problems on Birmingham’s largest post-war estate. The programme cost over £270 million and resulted in a mix of high and low rise flats; maisonettes; houses; and bungalows, 3,500 of which transferred to CVHAT in April 1994.